Although long overshadowed by innovative and contentious contemporaries including Innocent III, Gregory IX, Frederick II, and Saint Francis, Honorius III's reputation has recently been rehabilitated. 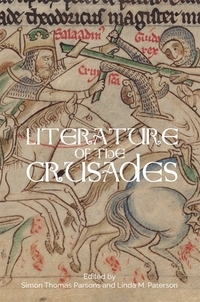 Continuing this reappraisal, this collection of essays argues that Honorius III often had different solutions to and policies for issues which faced all three popes: the reforming impulses embodied in Fourth Lateran, the emergence of new religious and crusading movements, and papal management of relationships with and between political powers. However, the self-referential penchant of continental scholarship quickly becomes apparent in several otherwise magisterial surveys of the sources available for Honorius. 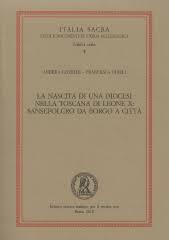 Although Viola Skiba's accomplished thematic treatment of Honorius's pontificate is rightly highlighted, important partial printed editions of Honorius's letters by Claverie, Duba, and Schabel (intended to supplement Pressutti's incomplete register and Horoy's five-volume Opera omnia) are not mentioned. Similarly, well-known work in English by James Powell, Rebecca Rist, Iben Fonnesberg-Schmidt, and Thomas W. Smith is largely side-lined despite these authors's persuasive debunking of Van Cleve's and Kantorowicz's hideously outdated characterizations of Honorius III (a.k.a. Cencio) forming the basis of the volume's central conclusions: Honorius was not a doddering and plodding implementer of Innocent III's policies hopelessly outmanoeuvered by Frederick II, but an accomplished administrator, peace-maker, and pastor with a well-defined agenda. Regardless, the volume makes real contributions through its analysis of the pragmatic and ideological reasons for Honorius's poor image. This is partly due to gaps in primary sources - the lack of an edited register, autobiography, or sustained studies of the cardinalate in this period, all of which we have for Innocent III. However, certain elements of Honorius's early life can be reconstructed. Despite the tendency, from later twelfth century onwards, to appoint "university" men to the cardinalate, Cencio was firmly Roman, both in his origins and schooling (although not of the Savelli family), and yet his own emphasis on pastoral work may well have been nurtured by the cardinalate's changing composition. Cencio probably met the future Clement III at S. Maria Maggiore, and became his chamberlain in 1188. He quickly embarked on reordering papal finances and was promoted to cardinal-deacon (1192-1193) and head of the papal chancery (1194). Innocent III's promotion of Cencio to cardinal-priest of SS. Giovanni e Paolo (1200) was not cynically calculated to force Cencio to resign his positions in the papal household and chancery; although Innocent quickly surrounded himself with "university" men, Cencio's innovations in the chancery and papal finance may have inspired Innocent's own restructuring efforts (54). Cencio continued to act as "auditor" for important cases, subscribed papal privileges, and dedicated himself to preaching and pastoral work and a sustained restoration and rebuilding program of basilicas throughout Rome. When Innocent III died in Perugia in 1216, Cencio's considerable experience made him a natural candidate for election to the papacy at a critical period when a smooth transition of power and firm implementation of the provisions for the planned eastern crusade and Lateran IV's resolutions were essential. Honorius successfully sustained the organization and promotion of the crusade through the papal chancery, preaching, ever-evolving collection of taxes and vow redemptions, and coordination of departures, including that of Frederick II. Ironically, Honorius's patient mediation between the emperor and the Lombard communes and his persuasive persistence that Frederick II fulfil his crusade vow (perhaps modelled after Celestine III's approach to Henry VI) would be quickly undone by Gregory IX's hasty utilization of excommunication and interdict as political weapons and apocalyptic demonization of enemies. Moreover, although the sponsorship of new religious orders has often been attributed to Innocent III, Honorius (and many of the unsung cardinalate) realized and adapted Innocent's initiatives in multiple arenas, including fostering an experimental community near San Sisto, sponsoring the Dominican order (Honorius sent them a copy of his sermons), and appointing Hugolino (later Gregory IX) as cardinal protector for the Franciscan order. As Giovanni Murano demonstrates, Dominic's request for formal papal authorization of his order's preaching and ministry to the female houses associated with the order was no mere formality. However, many documents and letters from Dominic's early career have been lost and others discounted and excluded from the dominant hagiographical tradition, obscuring the central role of both preaching and female communities at Prouille, San Sisto, and Bologna to Dominic's sense of his order's mission. Similarly, Honorius's elision from the history of the mendicant orders was partly of his own making, as both the pope and Francis' hagiographers deliberately attributed the formal approval of the Franciscan rule not to Honorius but to Innocent III in order to bypass Lateran IV's formal proscription against new religious rules. Yet, as Annarita de Prosperis illustrates, it was Honorius, who, as former head of the papal chancery, crafted the verbal formulae necessary for papal letters to confirm a place for the mendicant orders within the existing church structure and envisaged the mendicant orders as providers of pastoral care and missionary work. One might add that Honorius's support was certainly influenced by the cardinals surrounding him and his correspondents, who included Jacques de Vitry and other Paris-trained individuals engaged in precisely the very fields mendicants would soon dominate. As Eva Ponzi emphasizes, Honorius's and key cardinals's support for the mendicant orders as spiritual restorers of the church - the Assisi frescoes depict Saint Francis shouldering a physical structure metonymically representing the Church - was matched by their concern for the renewal of material churches as physical symbols of the papal claim to plenitudo potestatis in Rome so often endangered during the tumultuous eleventh and twelfth centuries (as commemorated in the Liber Censuum). The network of basilicas Cencio restored would have played a key role in the processions he and Innocent organized in support of the crusade. For as Filippo Sedda argues, both Honorius and Innocent were dedicated to the reform and reorganization of the liturgy in the papal curia, reforms which were adopted and spread by the Franciscan order. Enrico Dumas sheds valuable light on Cencio's little-understood Liber Censuum. Compiled during Celestine III's pontificate, this complex work included lists of taxes owed to the papacy and of episcopal sees and monasteries dependent on Rome, the Mirabilia urbis Romae, a description of Italy, the Ordo Romanus, and pontifical chronicles, followed by formularies for imperial privileges, political accords, donations, economic transactions, and papal-imperial correspondence. The future Honorius III constructed the formal memory of papal rights and claims and also a working instrument and up-to-date reference work for the papal chancery for future guardianship of papal privileges, finances, and politics through the inclusion of key documents (e.g., the Donation of Constantine and concords between the pope and various secular rulers). Further study of the Liber Censuum should help illuminate Honorius's policy towards Frederick II and his mediation between the emperor and the Lombard communes - in one manuscript scribes recopied the Peace of Constance (1183) with a cluster of letters evidencing Honorius's and Gregory IX's arbitration between emperor and communes. 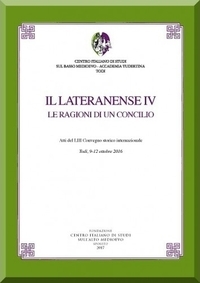 The Liber Censuum's interrelation of multiple papal projects helps to elucidate Honorius's policy towards Sardinia, richly evoked by Mauro Sanna. Innocent's attempts to bring peace between the Pisans and Genoese in preparation for the Fifth Crusade were brought to fruition by Honorius; both popes used papal claims to Sardinia to curb Pisan influence there, minimize interference in archiepiscopal elections, promote provincial synods, and intervene in dispensations from crusade vows and reserved marriage cases. 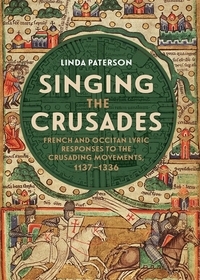 Similarly, Christian Grasso stresses the complexity of Honorius's involvement in declaring, organizing, and realizing the departure of not one but multiple crusading expeditions, an effort which required the delicate coordination and enforcement of deadlines, collection and disbursal of funds, redemptions of crusade vows, enforcement of crusading privileges, and the creation of peace. This well-rounded volume provides a valuable snapshot of continental scholarship and should prove of considerable interest to historians of the medieval church versed in Italian.